With a surprising new proof, two young mathematicians have found a bridge across the finite-infinite divide, helping at the same time to map this strange boundary. The boundary does not pass between some huge finite number and the next, infinitely large one. Rather, it separates two kinds of mathematical statements: “finitistic” ones, which can be proved without invoking the concept of infinity, and “infinitistic” ones, which rest on the assumption — not evident in nature — that infinite objects exist. 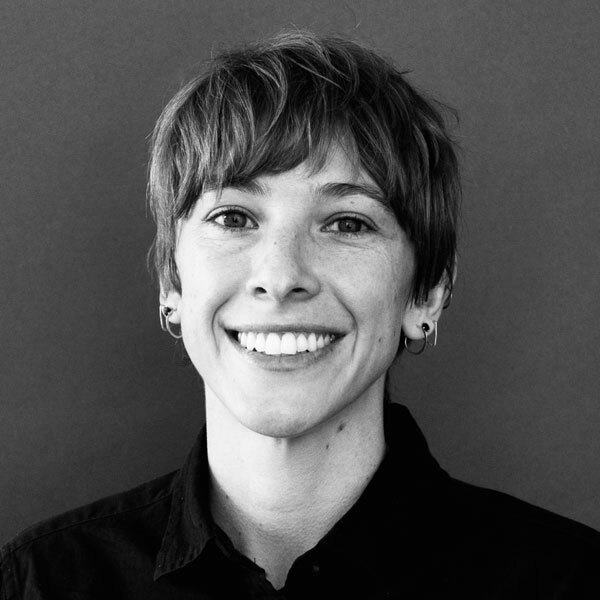 Mapping and understanding this division is “at the heart of mathematical logic,” said Theodore Slaman, a professor of mathematics at the University of California, Berkeley. This endeavor leads directly to questions of mathematical objectivity, the meaning of infinity and the relationship between mathematics and physical reality. In the new proof, Keita Yokoyama, 34, a mathematician at the Japan Advanced Institute of Science and Technology, and Ludovic Patey, 27, a computer scientist from Paris Diderot University, pin down the logical strength of $latexRT_2^2$ — but not at a level most people expected. The theorem is ostensibly a statement about infinite objects. And yet, Yokoyama and Patey found that it is “finitistically reducible”: It’s equivalent in strength to a system of logic that does not invoke infinity. This result means that the infinite apparatus in $latexRT_2^2$ can be wielded to prove new facts in finitistic mathematics, forming a surprising bridge between the finite and the infinite. “The result of Patey and Yokoyama is indeed a breakthrough,” said Andreas Weiermann of Ghent University in Belgium, whose own work on $latexRT_2^2$ unlocked one step of the new proof. When Yokoyama set his sights on $latexRT_2^2$ as a postdoctoral researcher four years ago, he expected things to turn out differently. “To be honest, I thought actually it’s not finitistically reducible,” he said. 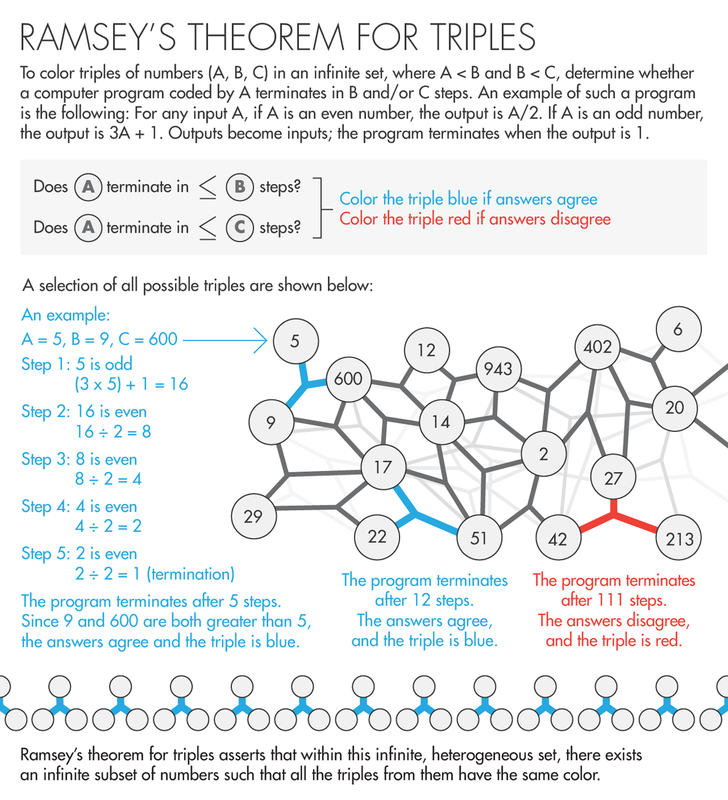 This was partly because earlier work proved that Ramsey’s theorem for triples, or $latexRT_2^3$, is not finitistically reducible: When you color trios of objects in an infinite set either red or blue (according to some rule), the infinite, monochrome subset of triples that $latexRT_2^3$ says you’ll end up with is too complex an infinity to reduce to finitistic reasoning. That is, compared to the infinity in $latexRT_2^2$, the one in $latexRT_2^3$ is, so to speak, more hopelessly infinite. The philosophy of infinity that Aristotle set out in the fourth century B.C. reigned virtually unchallenged until 150 years ago. Aristotle accepted “potential infinity” — the promise of the number line (for example) to continue forever — as a perfectly reasonable concept in mathematics. But he rejected as meaningless the notion of “actual infinity,” in the sense of a complete set consisting of infinitely many elements. And, troublingly, the assumption that infinite sets exist led Cantor directly to some nonintuitive discoveries. 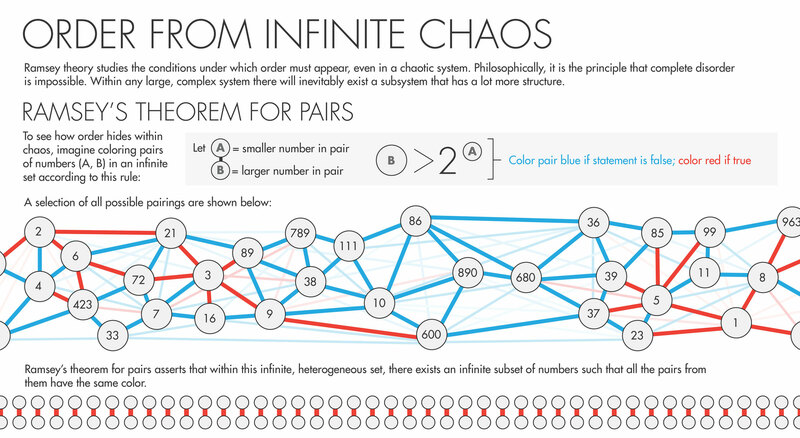 He found that infinite sets come in an infinite cascade of sizes — a tower of infinities with no connection to physical reality. What’s more, set theory yielded proofs of theorems that were hard to swallow, such as the 1924 Banach-Tarski paradox, which says that if you break a sphere into pieces, each composed of an infinitely dense scattering of points, you can put the pieces together in a different way to create two spheres that are the same size as the original. Hilbert and his contemporaries worried: Was infinitistic mathematics consistent? Was it true? Even though they questioned the value and consistency of infinitistic logic, Hilbert and his contemporaries did not wish to give up such abstractions — power tools of mathematical reasoning that in 1928 would enable the British philosopher and mathematician Frank Ramsey to chop up and color infinite sets at will. “No one shall expel us from the paradise which Cantor has created for us,” Hilbert said in a 1925 lecture. 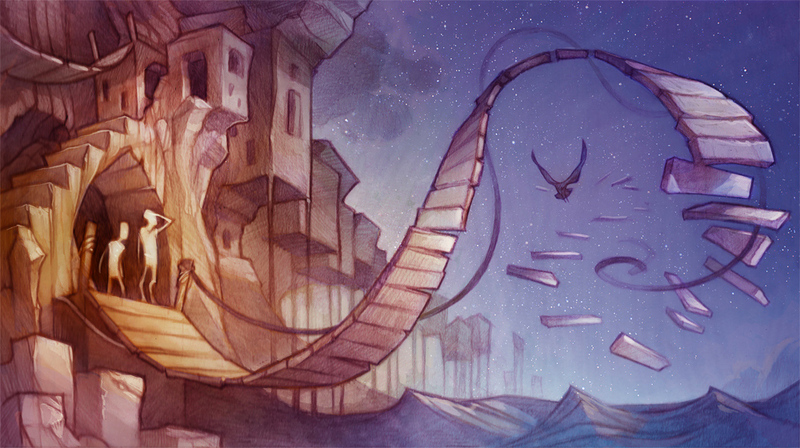 He hoped to stay in Cantor’s paradise and obtain proof that it stood on stable logical ground. Hilbert tasked mathematicians with proving that set theory and all of infinitistic mathematics is finitistically reducible, and therefore trustworthy. “We must know; we will know!” he said in a 1930 address in Königsberg — words later etched on his tomb. However, the Austrian-American mathematician Kurt Gödel showed in 1931 that, in fact, we won’t. In a shocking result, Gödel proved that no system of logical axioms (or starting assumptions) can ever prove its own consistency; to prove that a system of logic is consistent, you always need another axiom outside of the system. This means there is no ultimate set of axioms — no theory of everything — in mathematics. When looking for a set of axioms that yield all true mathematical statements and never contradict themselves, you always need another axiom. Gödel’s theorem meant that Hilbert’s program was doomed: The axioms of finitistic mathematics cannot even prove their own consistency, let alone the consistency of set theory and the mathematics of the infinite. This might have been less worrying if the uncertainty surrounding infinite sets could have been contained. But it soon began leaking into the realm of the finite. Mathematicians started to turn up infinitistic proofs of concrete statements about natural numbers — theorems that could conceivably find applications in physics or computer science. And this top-down reasoning continued. In 1994, Andrew Wiles used infinitistic logic to prove Fermat’s Last Theorem, the great number theory problem about which Pierre de Fermat in 1637 cryptically claimed, “I have discovered a truly marvelous proof of this, which this margin is too narrow to contain.” Can Wiles’ 150-page, infinity-riddled proof be trusted? A breakthrough came in 1995, when the British logician David Seetapun, working with Slaman at Berkeley, proved that $latexRT_2^2$ is logically weaker than $latexRT_2^3$ and thus below the third level in the hierarchy. The breaking point between $latexRT_2^2$ and $latexRT_2^3$ comes about because a more complicated coloring procedure is required to construct infinite monochromatic sets of triples than infinite monochromatic sets of pairs. “Since then, many seminal papers regarding $latexRT_2^2$ have been published,” said Weiermann — most importantly, a 2012 result by Jiayi Liu (paired with a result by Carl Jockusch from the 1960s) showed that $latexRT_2^2$ cannot prove, nor be proved by, the logical system located at the second level in the hierarchy, one rung below $latexRT_2^3$. The level-two system is known to be finitistically reducible to “primitive recursive arithmetic,” a set of axioms widely considered the strongest finitistic system of logic. The question was whether $latexRT_2^2$ would also be reducible to primitive recursive arithmetic, despite not belonging at the second level in the hierarchy, or whether it required stronger, infinitistic axioms. “A final classification of $latexRT_2^2$ seemed out of reach,” Weiermann said. But then in January, Patey and Yokoyama, young guns who have been shaking up the field with their combined expertise in computability theory and proof theory, respectively, announced their new result at a conference in Singapore. Using a raft of techniques, they showed that $latexRT_2^2$ is indeed equal in logical strength to primitive recursive arithmetic, and therefore finitistically reducible. In one key step, the duo modeled the infinite monochromatic set of pairs in $latexRT_2^2$ using a finite set whose elements are “nonstandard” models of the natural numbers. This enabled Patey and Yokoyama to translate the question of the strength of $latexRT_2^2$ into the size of the finite set in their model. “We directly calculate the size of the finite set,” Yokoyama said, “and if it is large enough, then we can say it’s not finitistically reducible, and if it’s small enough, we can say it is finitistically reducible.” It was small enough. $latexRT_2^2$ has numerous finitistic consequences, statements about natural numbers that are now known to be expressible in primitive recursive arithmetic, and which are thus certain to be logically consistent. Moreover, these statements — which can often be cast in the form “for every number X, there exists another number Y such that … ” — are now guaranteed to have primitive recursive algorithms associated with them for computing Y. “This is a more applied reading of the new result,” said Kohlenbach. In particular, he said, $latexRT_2^2$ could yield new bounds on algorithms for “term rewriting,” placing an upper limit on the number of times outputs of computations can be further simplified.